The Era Saracen 2 small hooks 45mm wide has 2 small hooks and has 1,380mm between them. 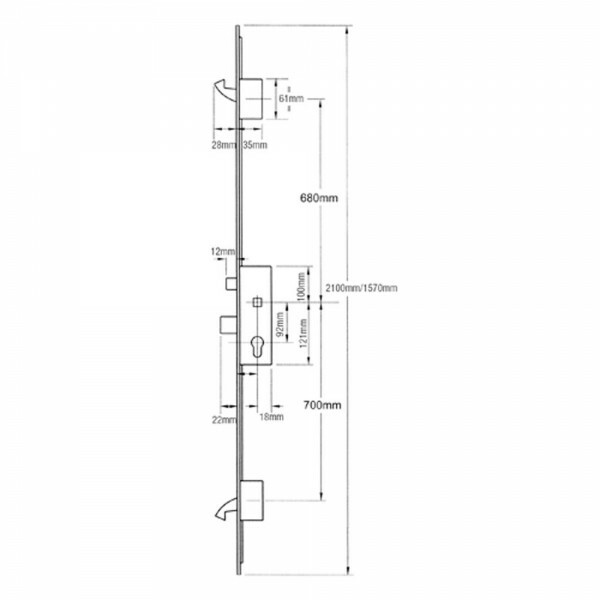 It is available in 45mm backset wither a 20mm square or round ends faceplate. 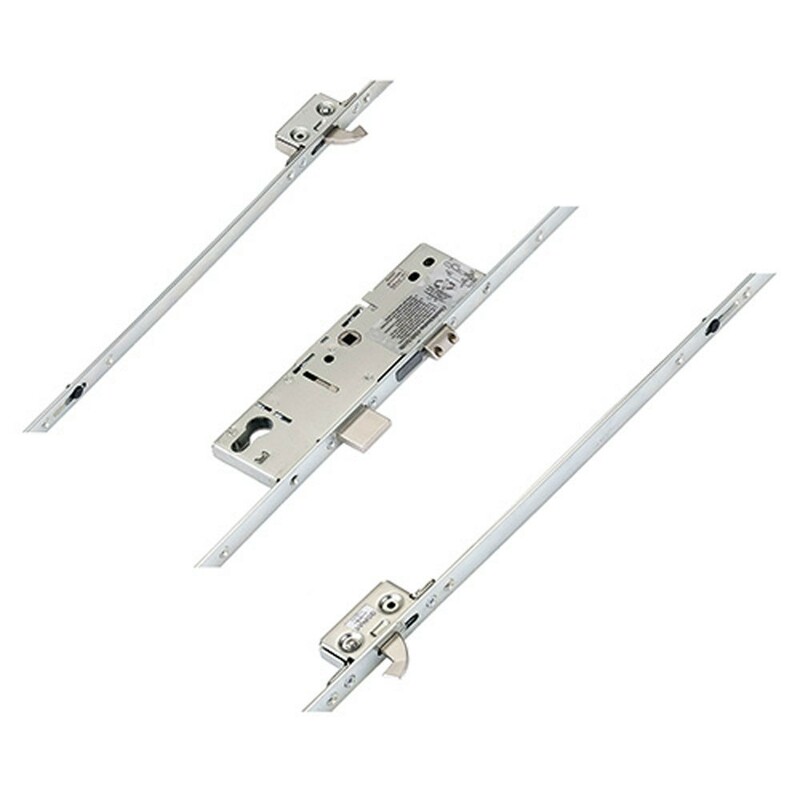 Originally designed to replace GU, Lockmaster and Winkhaus locks without the need for new routing positions. Locking points are engaged by lifting the lever and locked by turning key. To change handing, undo the screw or screws in the latch to remove. Reverse, reinsert and replace screw(s).